Say goodbye to all that time wasted setting up a tent. 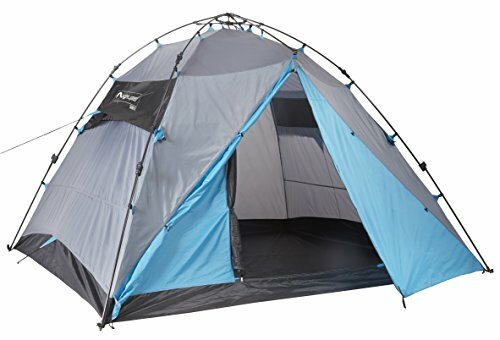 The Lightspeed Outdoors Mammoth 6-Person Instant Tent sets up in seconds with its integrated hub and built-in pole design. The single-wall construction is designed with breathable, water-resistant material to keep you dry without the need for a bulky rainfly. The bathtub style floor keeps water out because the seams are high off the ground. Large enough for six people means on single sleep pads.